Visions now handles one of the most eclectic and desirable catalogs today in all genres, covering nearly every decade of recorded music from every corner of the world for music licensing. 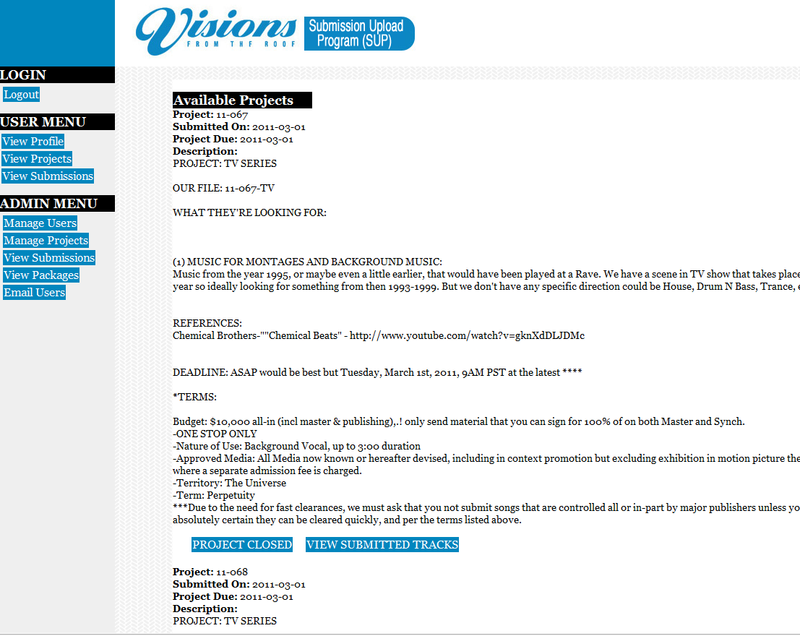 Visions from the Roof needed a way to handle their artists submissions and licensing on a project basis. 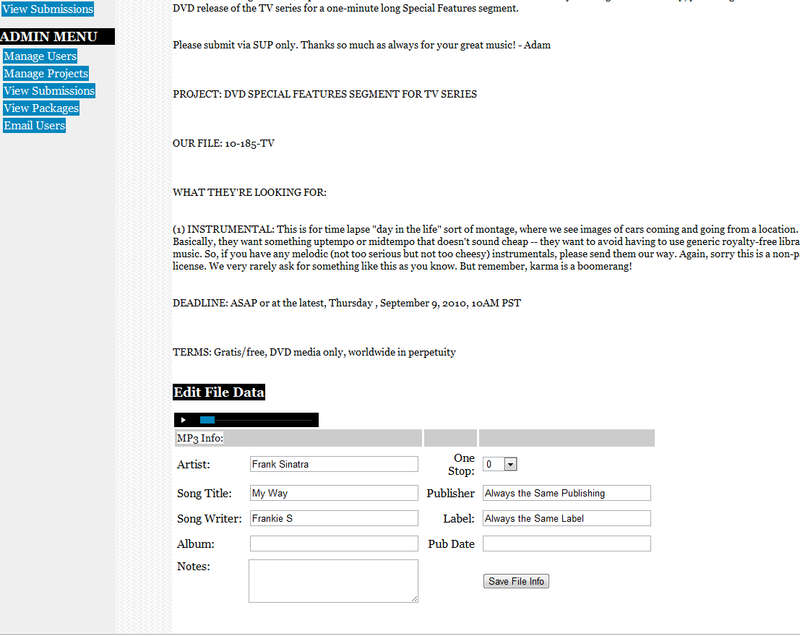 We created their Supmission Upload Program which allows artists to upload MP3s which are tagged with the proper license agreements. These tags are written to the mp3s ID3 tag so even after the files leave the server the info is embedded in the actual file. We designed, developed and launched a management tool for Administrators to create projects and request submissions for projects such as feature films. The application would email all users notifying them of the project. 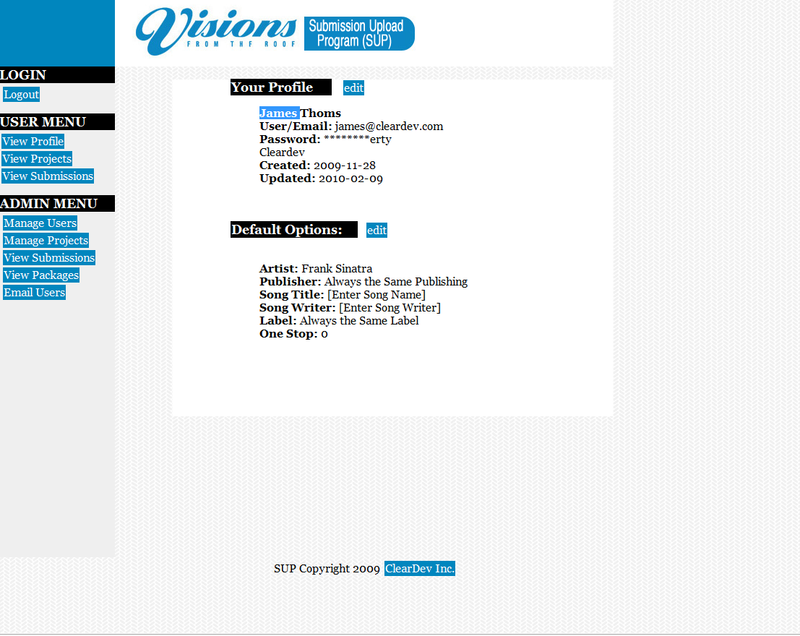 Users can login, upload tracks for the project and assign rights to them. 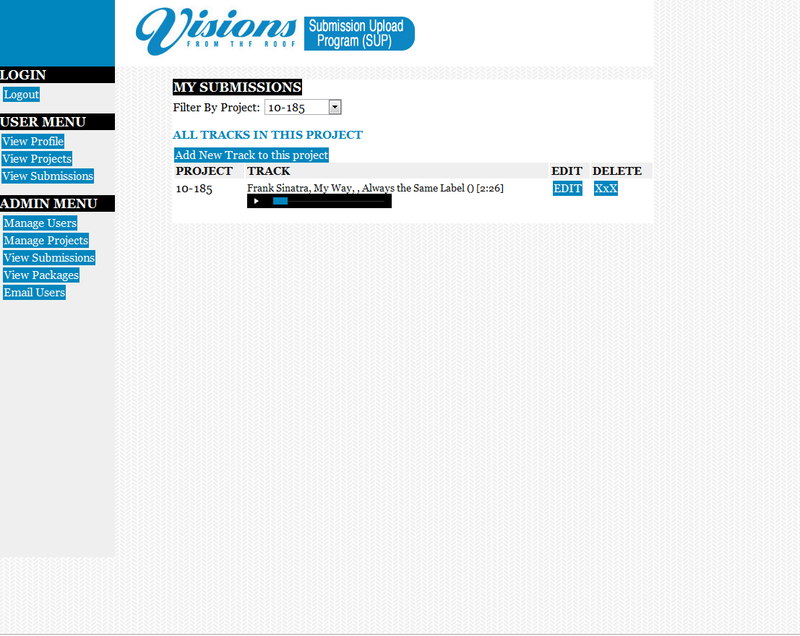 Tracks were available for review and download on the backend.